Welcome to Day 8, if you are just arriving for the first time all the details and the linkup can be found HERE. Today we have awesome Uniko Studio and their designers joining me as a sponsor and as a guest! Uniko is offering to one lucky winner in stock stamp set of the winners choosing. Remember there are so many ways to get a chance at winning, by hopping around and commenting on posts or by participating and making tags of your own. These are all so fabulous! It's so hard to choose which one inspires me the most because they're all so festive and fun! These are gorgeous! LOVING that ornament on yours!!!!!!!!!!!! I like simple tags as I do not have enough time to make tags, so Sarah's tags appealed to me. Debra, Lindsey and Tracey have given me inspiration from their tag presentations, Well done ladies!!! Shaker tags are always my favorite! I love your tag, Tracey! The color is so pretty and I love how you have positioned the sparkle inside the ornament! Gorgeous! Another batch of WOW tags! Today's inspiration: sparkle, sparkle and sparkle! Love them all, but Sarah's sparkle tag is a real eye-catcher. Love the tags especially Beverly's shaker tag; the colors that she used are so pleasing. Simply adorable...love your soft blue ornament! Beverly's shaker tag is gorgeous! Love the pops of gold!! And that ornament on your tag, Tracey, is fabulous!! Love the big sentiment and the whimsical outline!! 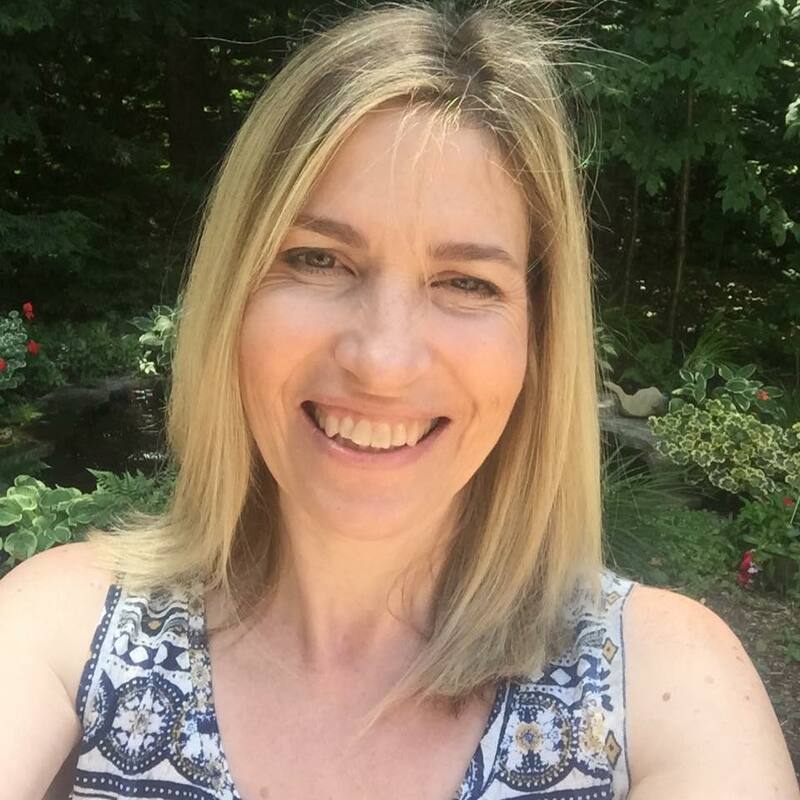 I'm inspired by the beauty of all things Uniko ... remember, I drove 5 hours to borrow some from Deborah Frings! Wishing I had a few to call my own! I adore the ornament on your tag, Tracey - and that delicate little bow! Amazing tags---I love them all. Loving all of the sparkly goodness I'm seeing! Once again I love your CAS tag!! Love the color!! 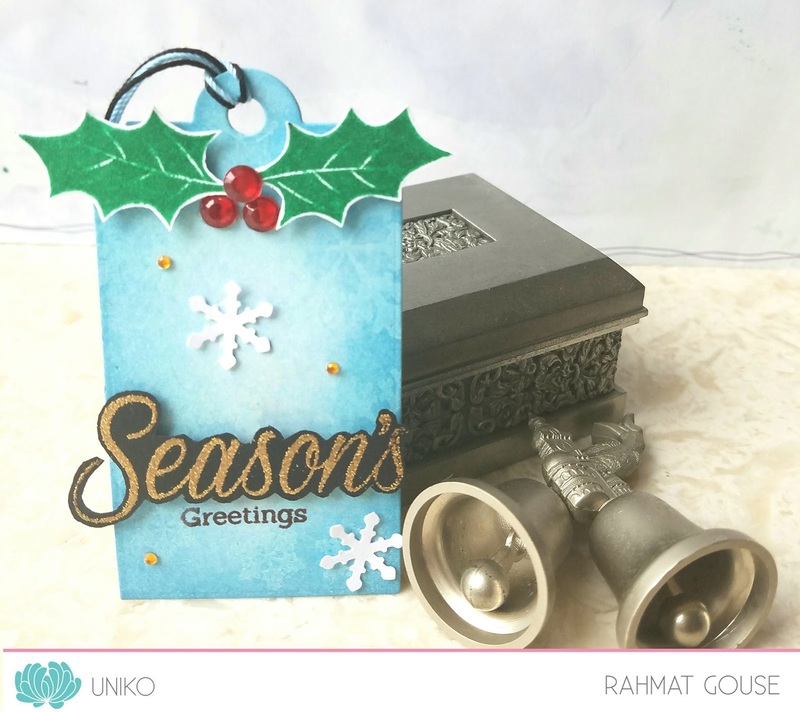 Lots of designs to tempt me as always, but as I haven't made a Season's Greetings tag as yet I'm opting for that as my inspiration for today. Once again a great group of tags. My fave was the one by Jane Taylor. I love the shaker tag! Such pretty tags today! Looks like many focused on stars, snowflakes, glitter and Christmas trees. Well of course! 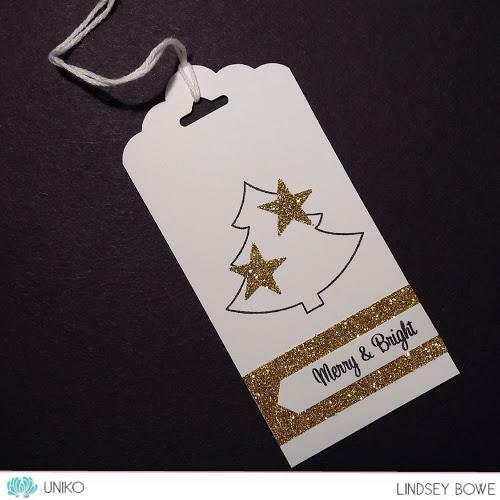 I love the simplicity of Lindsey's tag with just gold, black and white. Sometimes I think the more simple tags show up best especially on packages with "busy" wrapping paper. Thanks for the continued inspiration! These are all so pretty! Wonderful inspiration from all...loving all the colors and sparkle! I'm inspired by the sparkle!! Christmas has to have sparkle!! Your tag is darling Tracey!! Love the pine and cute ornament! Wow! 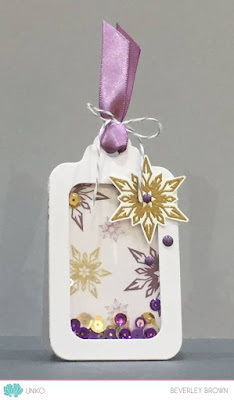 So many gorgeous tags today....that sparkle ornament you used Tracey is breathtaking! (especially stamped in blue) But I think I am most inspired by Jane Taylor's double tag. I think I am going to try that. I was inspired by all the ways to do a tag. Shaker, double (two big and small) etc. Just love your tag Tracey with the large image. Just steals the show! Beautiful images & tags! 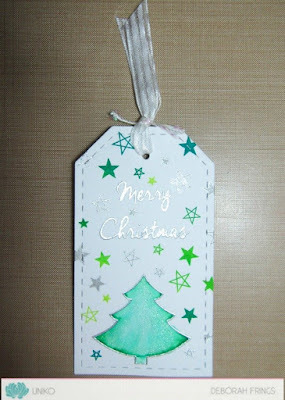 I love the little Christmas tree, the shaker tag & how you stamped the branch & ornament for your tag, Tracey! brand new to your web site. Love all the tags today!! 'specially the shaker tag! So fun and festive tags, hard to choose any one. Love your tag Tracy with large ornament with beautiful sentiment! 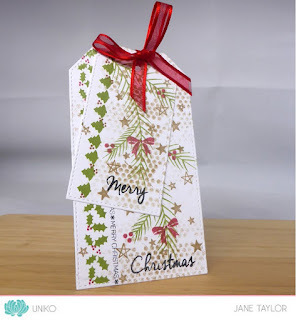 the shaker tag by Beverly is gorgeous - love it!! I love the bow at the top of the ornament. thanks for sharing and for having the hop. Beautiful tags! I'm inspired by all the glitter and sparkle! Beautiful tags! I love the whimsical nature of the images, just my style! So many beautiful tags! 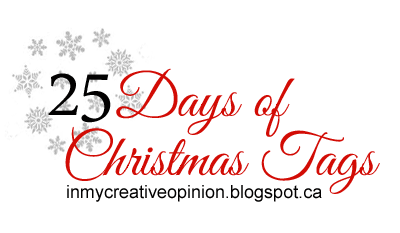 I'm particularly loving and inspired by that gorgeous, giant, gold poinsettia. I am partial to shaker tags, they are just so much fun! Love that 'sparkle' ornament! It inspires me! So many beautiful tags! The one that inspires me is the one by Sarah Gray with the embossed poinsettia on it, just gorgeous! Thanks for sharing them. Beautiful tags today!! Love all the Christmas leaves and flowers inspired tags!! 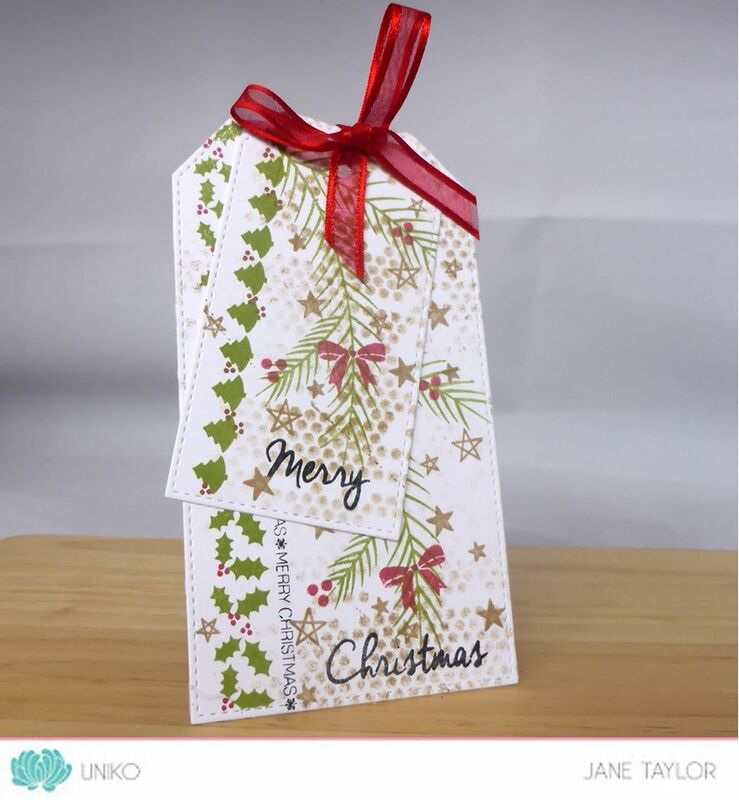 I'm inspired by the gold embossed poinsettia and the double tag with the pine and holly leaves! Very pretty and elegant tags. I like the last one with the sparkle ornament. Oh my goodness Tracey, I am so totally inspired everyday by all of the beautiful tags. I truly can NOT pick JUST one. They ALL inspire me in so many ways. Tags are my fav. 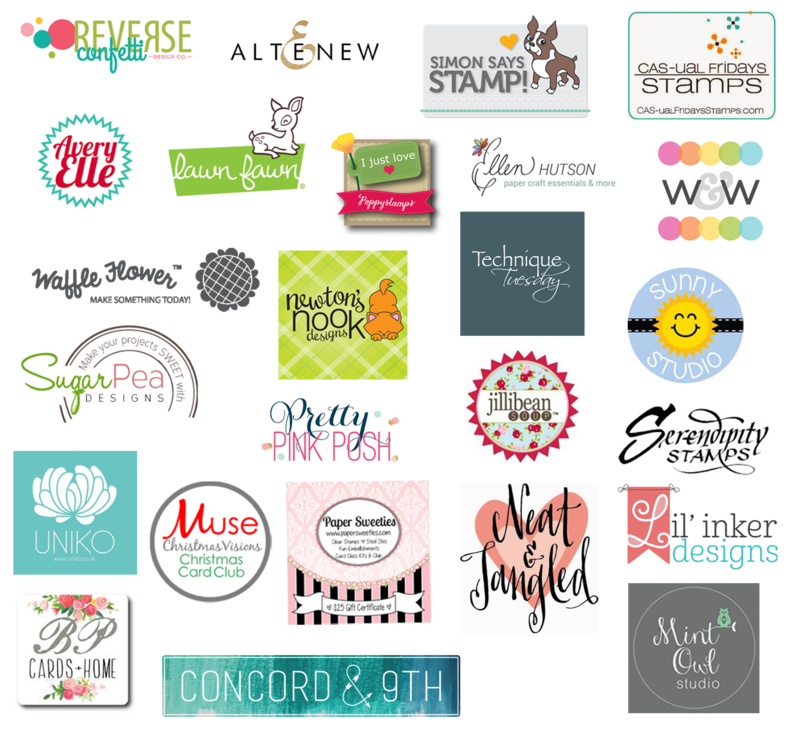 for all occasions and I have been getting ideas here that I can't keep up with! Thanks so much for putting so much effort into this as I look forward to it every year! I liked your CAS tag! Love Sarah's CAS gold/white, sometimes less is more. Tracey, I was drawn here by your beautiful CAS tag and was treated to a plethora of beautiful tags! Gorgeous! Love all the sparkle in today's tags! These are all gorgeous but Beverly's beautiful shaker tag caught my eye on another blog and brought me over here! Sparkle is always so festive and today's tags are all gorgeous! Love your wonderful ornament! I love Lindsey's CAS tree card. Cute and fast, perfect for the big day. These tags are all so lovely! Especially like Beverly's shaker and the colors! WOW!!! 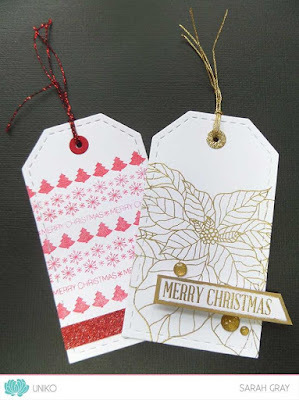 Amazing...My fav is shaker one..
Love the classic holiday feel of these tags!!! 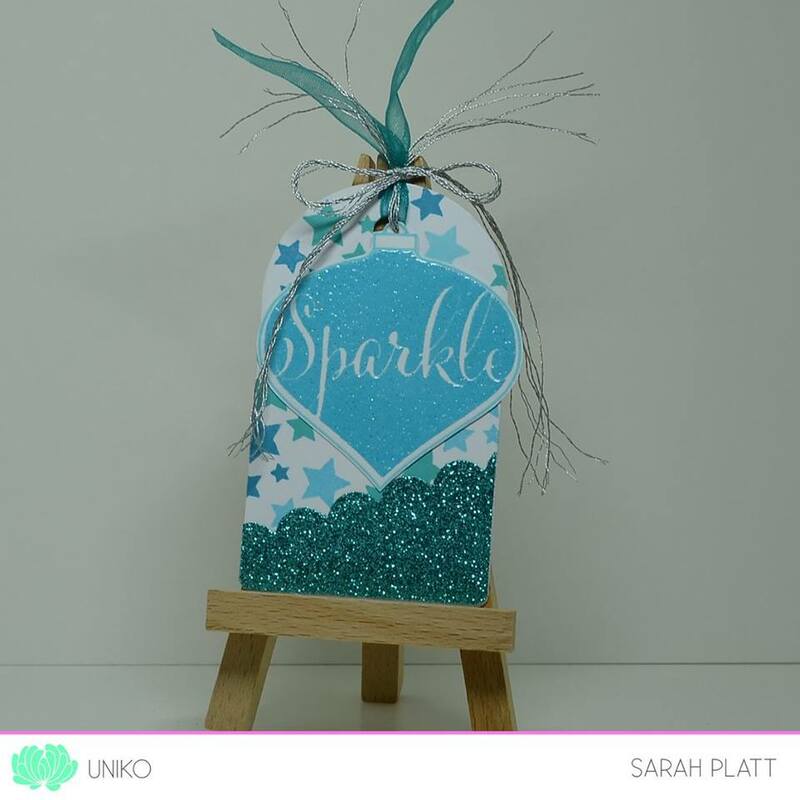 Love all the sparkles on these tags especially the shaker card. So pretty and fun! Oh man, so many fun tags to choose from! Awesome tags by everyone! wow! beautiful tags... I really love the shaker tag created by Beverly. So cool! Mmmmm... that purple and gold shaker tag is so yummy! Really lovely but I'm inspired by Sarah Greys clean designs. Lots of festive fun - I especially love the bold blue ornament! I do not have any product from Uniko, unfortunately, so I just tried to case Jane's lovely tag with what I did have. 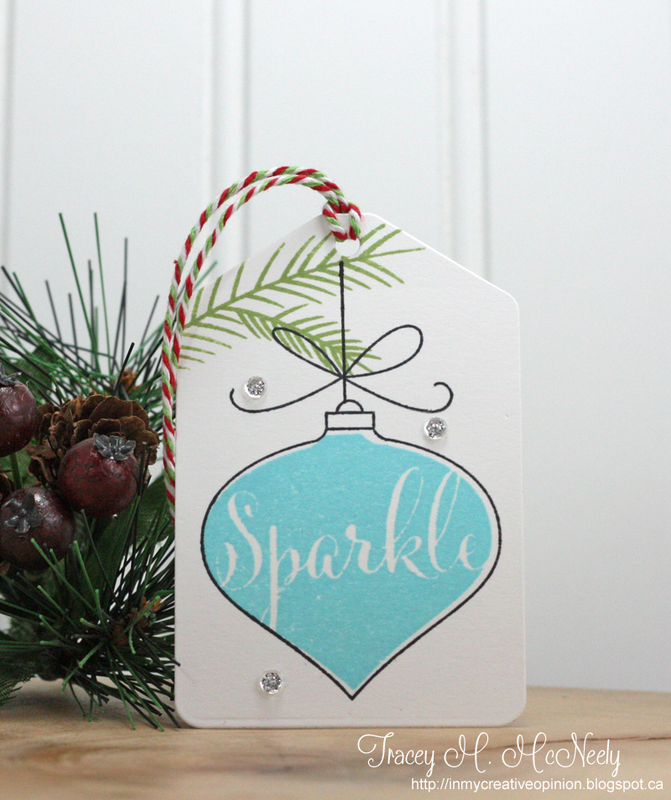 Love your beautiful blue ornament tag! Love the non-traditional colors! I'm really liking all the blue and sparkle. I'm always drawn to watercolor and distress backgrounds too. Lovely tags with beautiful sparkle! !